We next went to Munich! This post might have to be divided into two. There were just too many pictures and too much explanation. We arrived in Munich and got oriented to go find our hotel. 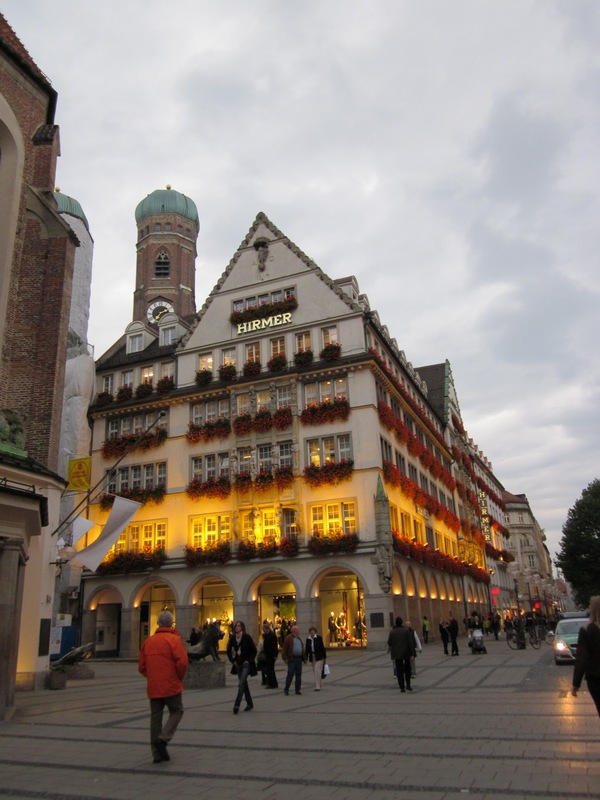 Hotel Munich was just down one of the streets from the Munich Hauptbahnhof. It looked like a great part of town. We came to find out later, that we seemed to be on a street with some questionable businesses, which means we kept our eyes straight ahead at night. 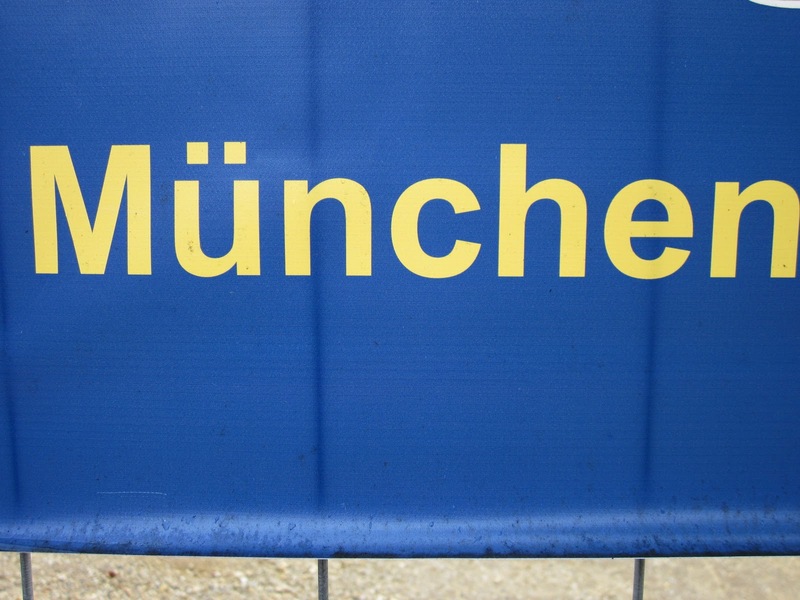 But, Munich was fun. It went by fast, but it was fun. On our first day in Munich, we split up. 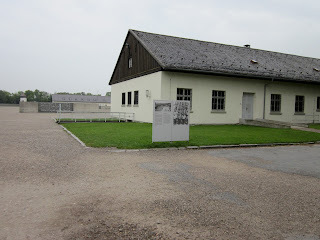 Amy and I headed out to Dachau. Sobering, but something I wanted to see. When you leave the train station in the town Dachau was located in, you can walk the path the prisoners had to take when they got off the train. The station there is the one where the prisoners were pushed off, divided up and walked to the camp and barracks. 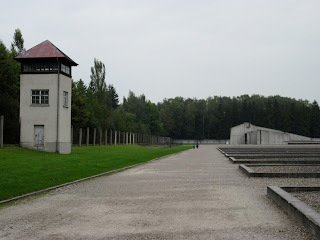 We were only able to be at the concentration camp for a couple hours at most. 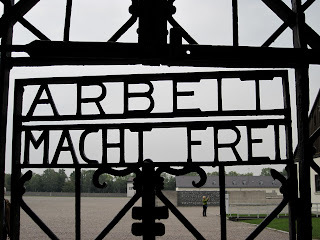 I'm amazed that anyone can even suggest that the Holocaust didn't happen. 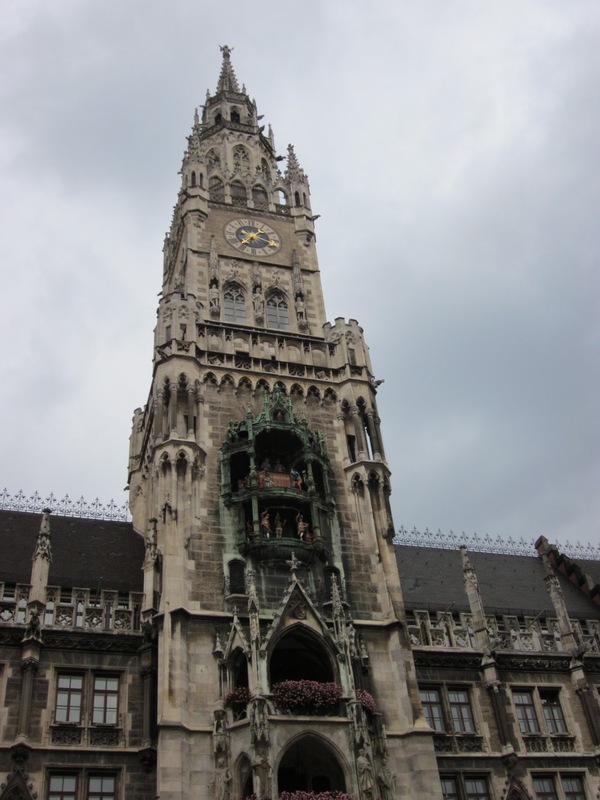 The pictures, the buildings, the history of that place says completely otherwise. 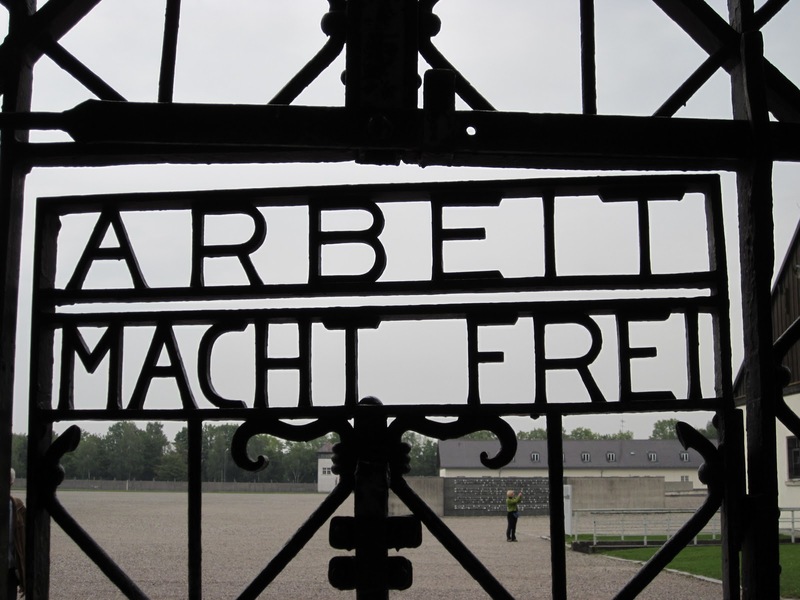 It was so sobering to think about what happened at that place, that it had gone on for a long time before the Americans liberated Dachau. 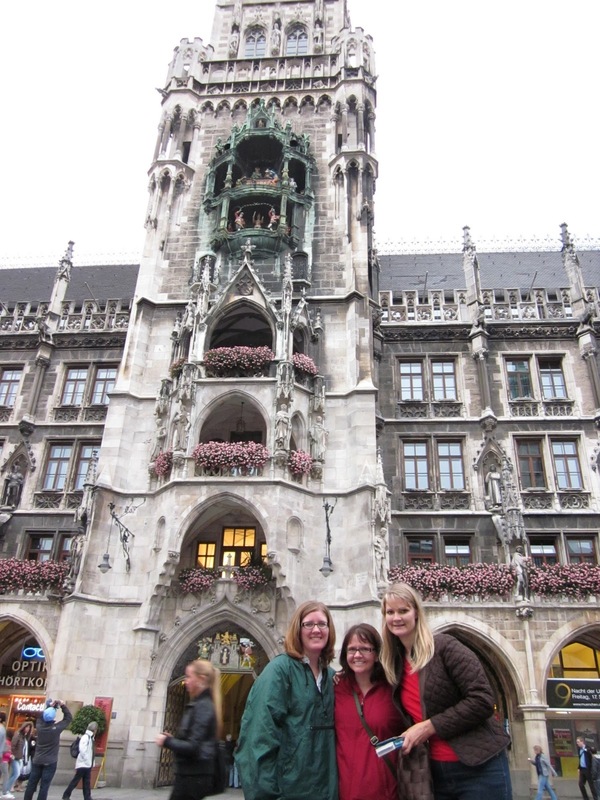 Afterwards, Amy and I took the train back into Munich and met back up with Bryonny and Tasha. 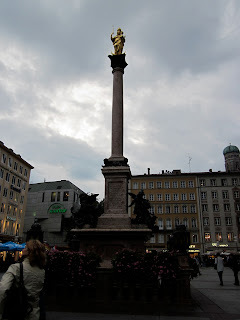 We went to the main pedestrian area of Munich to get dinner and do a little shopping. 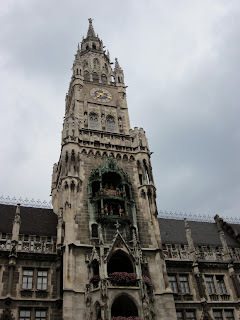 We were also looking for the Old Rathaus, the old town hall, where the glockenspiel was located. We noticed, even later on in our travels, that the stores closed really early, most stores were closed around 6-7pm. It was odd to see that. Munich was preparing for Oktoberfest to start, so every storefront had the traditional dress for men and women. Leiderhosen anybody?